In Alaska, you’ll find the great outdoors at its grandest and most pristine. Explore the magnificent waters of Alaska on a charter fishing tour that’s guaranteed to offer up some great catches. You won’t have to wander far from your room to find great dining and drinks. Located onsite at our hotel, Chart Rooms Restaurant serves locally-inspired, high quality cuisine for breakfast, lunch and dinner. Escape to the BEST WESTERN Kodiak Inn and experience great hospitality and comfort on the Emerald Isle of Kodiak, Alaska! The BEST WESTERN Kodiak Inn is the largest and friendliest hotel in town, conveniently located in downtown Kodiak, overlooking the beautiful St. Paul Harbor. 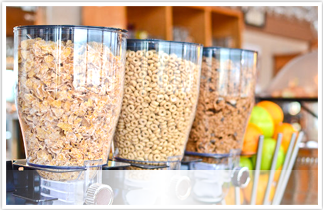 Our comfortable accommodations offer pillow-top beds, free Wi-Fi access, microwaves, refrigerators, free breakfast and more! You’ll feel right at home with the BEST WESTERN Kodiak Inn hotel amenities including the Alaskan hot tub located in the garden area, and Chart Room Restaurant, offering some of the best dining in Kodiak. Our courtesy van is available at set hours to transport you to and from the airport and ferry terminals. You’ll find countless things to do in Kodiak, AK, from charters and tours to great Ocean and river fishing to and magnificent bear viewing. The island is rich with Native Alutiiq, Russian and military history. Kodiak also has the largest Coast Guard station in the United States. Our Kodiak, Alaska Convention Center can accommodate over 450 people and is the ideal place for business meetings, conventions, anniversaries, weddings or any other special event. 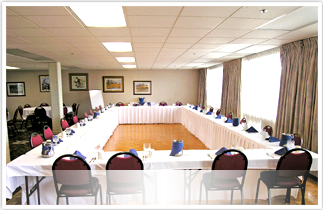 We can also accommodate groups up to 100 people in our meeting and banquet room located at the Kodiak Inn. We also feature a 24hr business center to ensure you stay connected while away from home. Whether spending the day on business, or fishing, hiking, or sight-seeing in and around Kodiak, Alaska, our hotel staff is ready to ensure you have a comfortable and memorable stay. 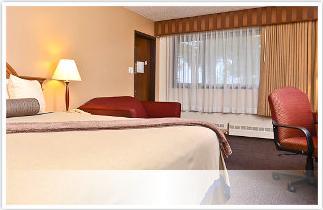 Your search for Kodiak, Alaska hotel ends here: Make an online hotel reservation today for our best rates. And be sure to check out our special offers for fantastic savings.